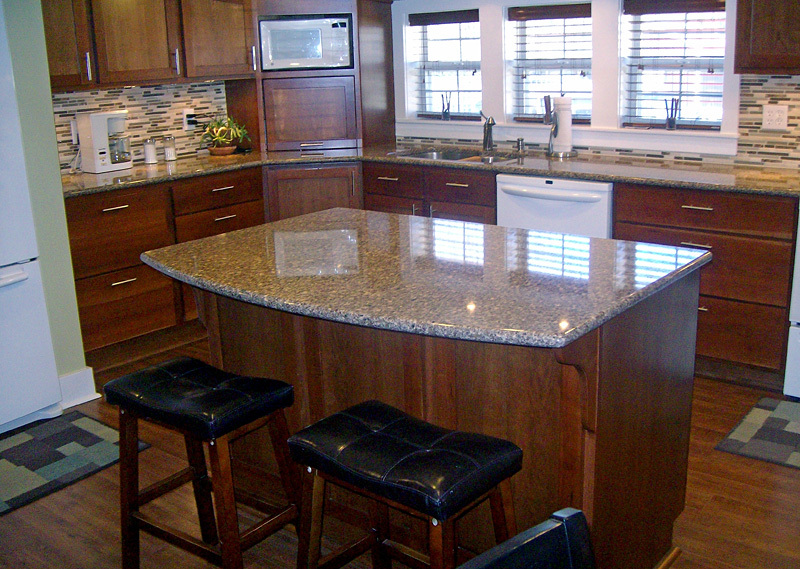 There are several benefits of Natural Quartz countertops. At Counter Solutions, we stock several colors in various brands to give the consumer the most diverse options of color, pattern and hue. Quartz delivers a consistency in pattern and uniformity. We stock several colors of Silestone®, Hanstone® and Viatera®. Other brands can be ordered and fabricated by our certified fabrication and installation staff. Quartz countertops are composed of natural quartz which makes them naturally scratch-resistant. 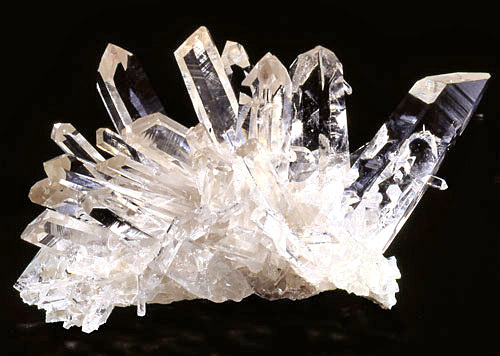 Only three other natural minerals - diamond, sapphire and topaz - are harder than quartz. Quartz is a seven on Mohs Hardness Scale (diamond is a 10). So, while a careless slip of the knife will scratch most other countertops such as laminates and solid surfaces, it will not damage the surface of a Quartz countertop. Although, it is not scratch-proof; it could be damaged with excessive force or pressure. Quartz is non-porous and therefore it is highly resistant to stains from coffee, wine, lemon juice, olive oil, vinegar, makeup, and many other common household products. Unlike granite, Quartz does not need to be sealed to keep its lustrous shine. Because it is non-porous, Quartz does not need to be sealed. Granite, marble and limestone, on the other hand, must be sealed on installation and resealed regularly to prevent staining. Quartz is a maintenance-free star compared to solid surfaces that may require rigorous maintenance to clean up tough stains, scratches and scorch marks. Unlike solid surfaces and laminates, Quartz is scorch-resistant. It will withstand limited exposure to heat without burning or scorching. The fire of a lit match will not mar the surface. However, as advised by crock pot and electric skillet manufacturers, do not place these items directly on any countertop. Always use trivets when placing hot items on any natural stone or quartz surface to avoid thermal shock. A Quartz countertop has four times the flexural strength of granite, making it less susceptible to chipping and cracking during transportation and installation. Quartz is the extremely hard mineral that gives its strength. 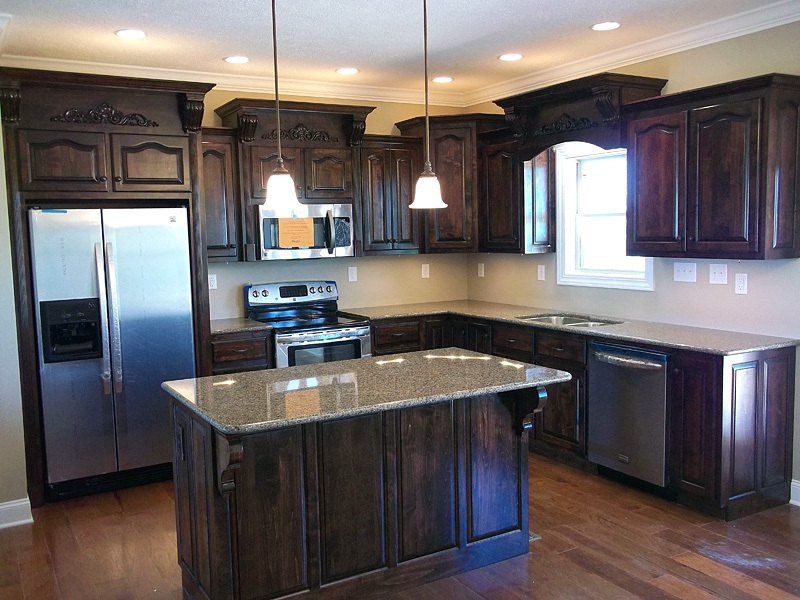 Granite is only about 40% to 60% quartz, along with other softer minerals and impurities. 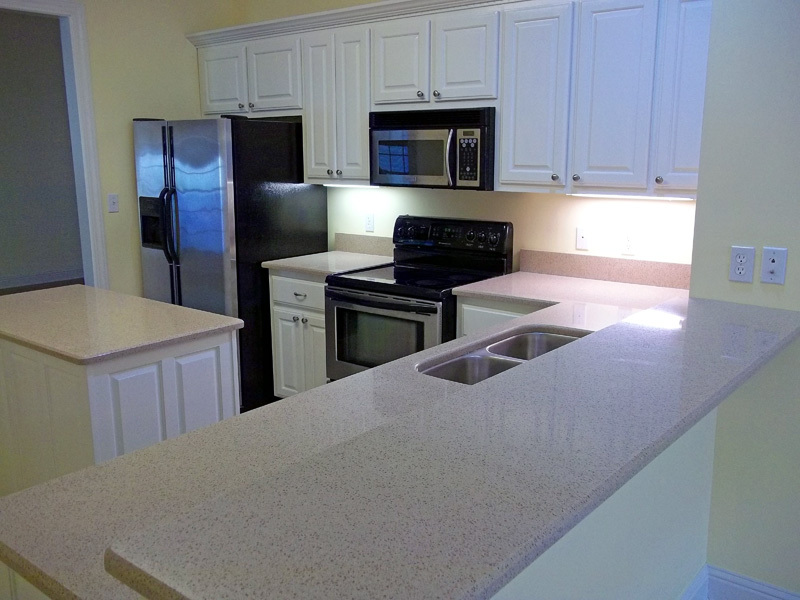 Every Quartz manufacture of quartz countertops has a limited warranty against material defects. Most range from a 10-15 year warranty and most are transferable. Our staff will provide the warranty for the particula0r manufacturer when Quartz countertops are purchased.